This series of How To Be A DIT posts is marching into it’s 7th instalment. 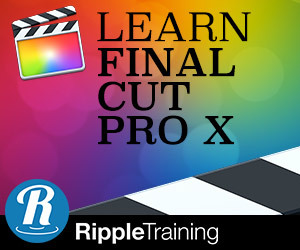 Although you don’t have to be a DIT to benefit from the resources and technology shared here, as if you are an editor or colorist you should hopefully learn a useful thing or two, too. In a quick fire round up of useful information for understanding everything that’s happening inside each frame of your digital footage. Film editor Vashi Nedomansky has collected together a great catologue of the history of cinematic aspect ratios, starting with Thomas Edison and 1.33 and running all the way to 2.39 with theatrical and blu-ray formats. There is a great free download of 70 aspect ratio crops (psd files) as well as an After Effects template to morph your 16 x 9 footage into anamorphic. Which GPU should you get for video? : This very useful article from ProMax runs you through all the reasons why you need more GPU’s in your system and what the specs really mean. Get to grips with CUDA cores, VRAM, clock speeds and floating point performance. In the world of video production and 3D design, much of our data boils down to the color information in a single frame of video. We tweak it, play with the curves, bring detail out of the shadows, etc…but at the (simplified) base level what we’re really doing is taking numbers that represent color information in that frame and multiplying or adding to them to reach a new number. When you can process thousands of those calculations simultaneously instead of 8, things happen much, much faster, and for us that means adding a lot of effects to your timelines and keeping things real time. Understanding Bit Rates: Larry Jordan recently shared a useful analogy for wrapping your noodle around understanding bit rates and compression. It’s a quick but useful read. I always recommend exporting projects at the highest quality your project will support, then compressing from that large master file. It’s an extra step, but it always yields better results. And, now you know why. Demystifying colour bit depth, dynamic range and linear/logarithmic scales: Rich Lackey, a Dubai based filmmaker, explains what happens when film is converted to digital with regards to those three factors. Understanding 29.97 drop frame video frame rates: In this short pdf file from Adobe (evidently from back in the day) you get a concise explanation of dealing with the frame rate. Understanding Color Processing – 8, 10 & 32-bit: In this excellent article Karl Soule explains the way in which Premiere Pro handles colour processing. If you’re ever wondered what the difference between 8-bit, 10-bit and 32-bit colour processing is all about, this post is for you. This “Maximum Bit Depth” check box enables your timeline sequence to work in 32-bit floating point color if those effects are used on the timeline. Keep in mind that this does increase the RAM used by Premiere Pro, so it’s recommended for higher-end systems. Thoughts on Gamma: Charles Poynton gives a very technical deliberation on the needs for a new HD reference monitor standard to ensure that the final deliverable you’ve created is what your consumer is actually seeing. The key point concerning the consumer’s gamma is this: What we seek to maintain at presentation is the appearance of the colors at program approval, not necessarily the physical stimuli. If the consumer’s display and viewing conditions differ from those at mastering, we may need to alter the image data to preserve appearance. What does it take to be a DIT? If you are wondering what a DIT actually does and what it is like to work as one on major productions then Micah Van Hove over on No Film School has a fantastically in-depth trilogy of articles on the working life of a DIT as seen through the eyes of several professional DITs. The core of any DIT’s cart is their monitor. I use a Sony BVM-F250 OLED. It’s a true reference monitor, regularly calibrated with a probe, and it more than any other monitor on set reflects what is truly being recorded. A DP should, whenever possible, work from a DIT’s monitor; it’s always disappointing when they don’t make the trip over at least once in a while. This set of articles probably represents the most comprehensive set of information online about what it really means to be a working DIT. Read it. Thank you for the fantastic article and links – I’ve certainly got some reading to do!